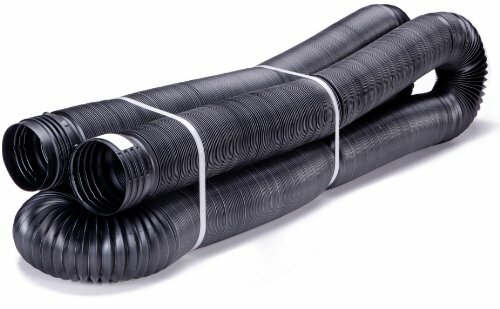 Flex-drain 50710 flexible/expandable landscaping drain pipe, solid, 12-foot a solid pipe, appropriate in applications that involve moving water from one point to another (i.e. Away from downspouts). Does not allow water to seep in or out anywhere except pipe ends. Works effortlessly with our complete system of connectors, couplers and adaptors. Exceeds all applicable astm standards. Made with no-break copolymers for professional grade strength and integrity. 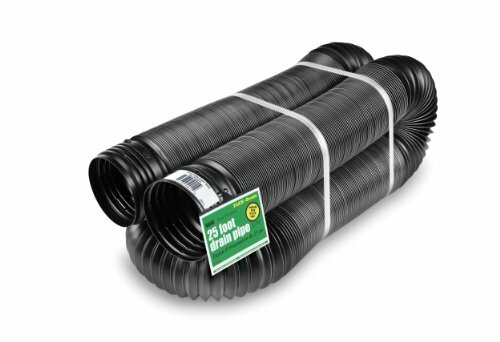 Proprietary peak and valley design offers greater surface area and a 30-percent higher load-bearing rating than standard corrugated pipe. Guaranteed not to split, crack or break when used in accordance with local building codes. 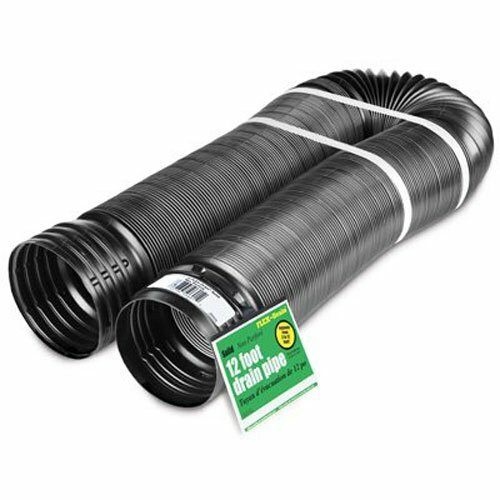 Flex-drain is compatible with virtually all traditional 3-inch and 4-inch corrugated pipe and 4-inch pvc. All flex-drain products are made in america.